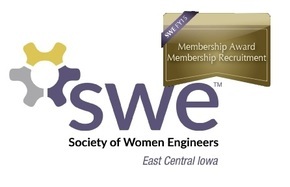 Join us as SWE-ECI kicks off FY16! Whether you just graduated, just moved, or have been here forever and want to learn something new (or share your experience! 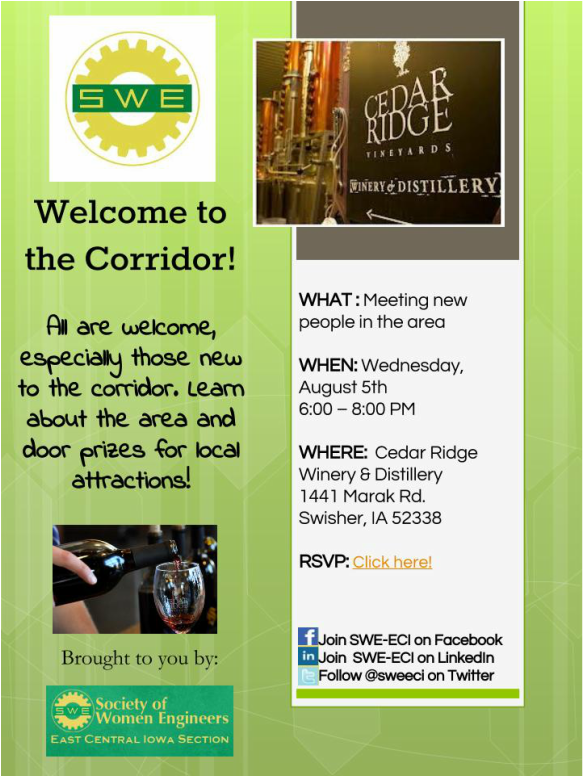 ), join SWE-ECI at Cedar Ridge at 6 p.m. on Wednesday, August 5th. We will have representatives from the corridor business bureaus to tell you all about events and companies in the area. Enjoy some pizza and wine, relax, and network with the ladies of SWE-ECI. Door prizes for events in the area will be awarded! Please RSVP below.